More than two million British families will be £50 a week worse off by the end of the decade, a report warns. The new cap is at £20,000 outside London, and £23,000 in the capital - down from £26,000. Disability rights campaigners have poured doubt on the Government's plans to change the welfare payments system. 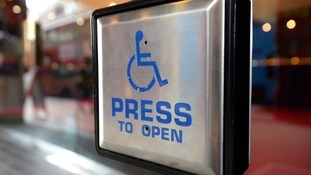 Proposed changes to the eligibility criteria for Personal Independence Payment (PIP) - to be implemented in January - are "not needed", according to Disability Rights UK. In a statement on its website, the charity said the changes earmarked would make it harder for many disabled people to qualify for PIP in future. The organisation described the current PIP assessment as failing to consider the extra costs for housebound people who will have higher heating bills, or those with incontinence who will have bigger water bills due to washing their clothes more often. We would like to see an assessment which accurately reflect these additional costs. However, the current system represents a significant improvement over all of the suggested options in the consultation. PIP needs change, but PIP does not need this change. Meanwhile, the MS Society said the changes could be "devastating" for multiple sclerosis suffers and would "fail some of the most vulnerable people in society". Up to 640,000 people could be impacted by changes to welfare payments as the Government hopes to save £1.2 billion. Thousands of people have died shortly after being declared fit to work by the Government, new figures reveal. Unemployed youngsters could lose their benefits unless they take part in a work "boot camp", a Government minister has said. Andy Burnham has insisted that Labour "simply cannot abstain" on the Welfare Bill soon after he abstained in the Commons vote. The Labour leader candidate took to Facebook to outline his reasons for his actions after nearly 50 of his party's MPs defied interim leader Harriet Harman and voted against the Conservative's Welfare Reform Bill. He said that he was "firing the starting gun on Labour's opposition" to the reforms and if elected leader would "fight this regressive Bill word by word, line by line". Tonight I voted for a Labour motion to oppose the Tories’ Welfare Reform Bill. It was a motion I had been calling for, because I have been clear all along – we cannot simply abstain on a Bill that will penalise working families and increase child poverty. That’s why last week I took a stand against the Tories’ assault on working families, children and disabled people – and I make no apology for that. The Tory tax-credit cuts I spoke out against will hit working families who are doing the right thing. They will actually discourage people from being in work. Children will be hit particularly badly. Many of the measures in this Bill will have the effect of increasing child poverty. And at the same time as David Cameron is penalising working families, he is choosing to spend hundreds of millions of pounds on an inheritance tax cut for the richest estates. It speaks volumes about where his priorities really lie. But whilst we may have lost the vote tonight, that doesn’t mean the battle has to be over. Labour has been accused of 'disgraceful' behaviour by the SNP over its failure to vote against the Government's Welfare Bill. More SNP than Labour MPs voted against the Bill which had its first reading in the Commons on Monday, a move which SNP employment spokeswoman Hannah Bardell said Labour would pay the price for at next year's elections to the Scottish parliament. "Labour had the perfect opportunity to join the SNP in a progressive coalition to oppose the Tories - but with some honourable exceptions they sat on their hands," she said. "This disgraceful stance will haunt Labour through next year's Scottish Parliament election and far beyond." Including teller Kelvin Hopkins, the total Labour rebellion stood at 48 of Labour's 232 MPs. The rest of the No votes in the main second reading division were 55 SNP, eight Liberal Democrat, six DUP, three SDLP, three Plaid Cymru and one each from Green and UUP. The second teller was the SNP's Owen Thompson. Interim Labour leader Harriet Harman suffered an embarrassing snub in the Commons when nearly 50 MPs defied her orders to abstain over the Government's Welfare Bill. Some 47 Labour MPs marched into the No lobby against Ms Harman's demand to abstain on the main second reading vote, which the Conservatives won 308 to 124, majority 184. Including a rebel teller, the Labour revolt stood at 48 of the party's 232 MPs. Three of Labour's leadership candidates, Andy Burnham, Yvette Cooper and Liz Kendall, stayed away but Jeremy Corbyn chose to join the revolt. London mayor candidates Diane Abbott, Sadiq Khan and David Lammy were also among the rebels. The remaining No votes were made up of SNP and other minor parties. Ms Harman's reasoned amendment outlining concerns about the Welfare Reform and Work Bill was defeated 308 to 208, majority 100. The interim Labour leader has insisted her party should not oppose the plans - which cut tax credits, reduce the welfare cap and introduce a "national living wage" - outright because it will not be heard on the issues it has a particular problem with. Just voted against Tory Welfare Bill. Sorry for colleagues who knew it was wrong but abstained. We weren't sent to Parliament to abstain. But rebel ringleader Ms Goodman warned the Bill was "obnoxious" and "regressive", highlighting a future limit on tax credits to two children per household as a key failing. Scottish Nationalist MP Pete Wishart jeered at Labour's disunity over the Welfare Bill vote when he asked the Speaker to move the seating around. The MP for Perth and North Perthshire raised a point of order requesting the Labour and SNP parties change seats so the Scots could "become the Official Opposition". Speaker John Bercow wasn't having any of it though.